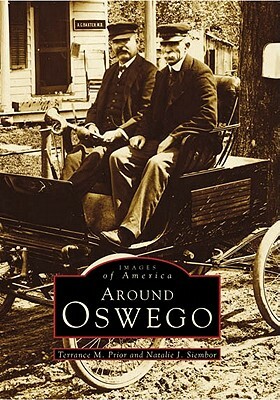 With Around Oswego, readers are invited to experience satisfying glimpses of over one hundred years of history and change. Active as a busy commercial port city in the 1880s, Oswego would redefine itself as a recreation and tourist destination by the 1980s. This evolution is witnessed through text and pictures, as factories, textile mills, lumber docks, coal trestles, and schooners were replaced with pleasure boats, marinas, hotels, restaurants, and parks. Familiar as well as rare and previously unpublished images document changes in the local landscape. Readers will meet some of Oswego's citizens, from international industrialist Thomas Kingford and Medal of Honor recipient and reformer Dr. Mary E. Walker, to soldiers and factory workers. Celebrate the opening of a turn-of-the-century playground, watch a circus parade, and enjoy a quiet picnic scene on a since-vanished shore line. Discover the outside world's interest in Oswego with photographs from United Nations Week in June 1943, and the World War II refugee center at Fort Ontario.